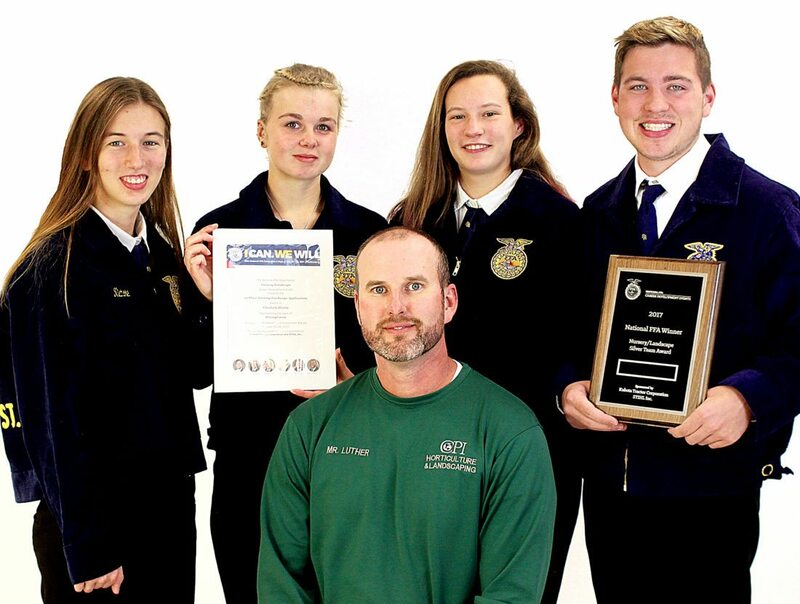 The Horticulture and Landscaping Program at CPI represented Pennsylvania at the 90th annual National FFA Convention and Expo, held in Indianapolis. 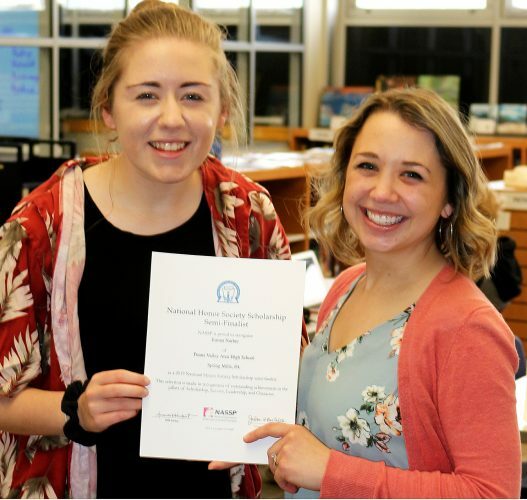 The team from the Central Pennsylvania Institute of Science and Technology at Pleasant Gap received the silver award in the Nursery/Landscape Career Development event, while all four team members earned individual awards. Charlee Harris took home the gold award, Derek Rishell and Alexis Witherite placed with silver awards, and Nichole Haupt received the bronze award. Haupt, Harris, Witherite and Rishell are seen from left, behind horticulture and landscape instructor Joe Luther.